Live healthy and active! dacadoo measures your health with the Health Score and engages you to actively manage your health and well-being in an easy and fun way. The Health Score is a scientifically calculated number from 1 (low) to 1,000 (high) and it is based on who you are (body), how you feel (feelings) and how you live (lifestyle). When tracked over time, it offers a good directional indicator of how your health is evolving. 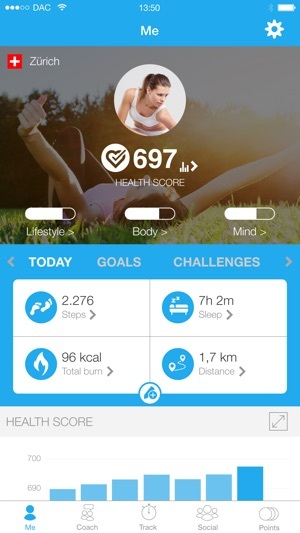 On dacadoo you can track exercise, nutrition, stress and sleep, as well as body data and mental well-being. 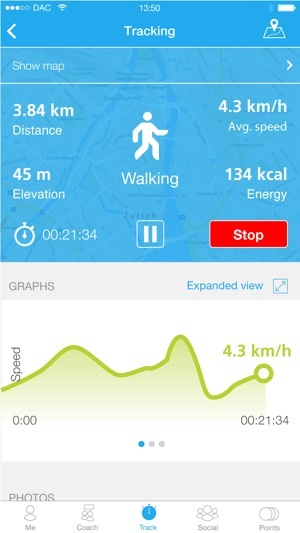 Besides the integrated tracking functionality, you can also use well-known tracking hardware or software, like Apple Health, to share your exercise, sleep etc. data with dacadoo. 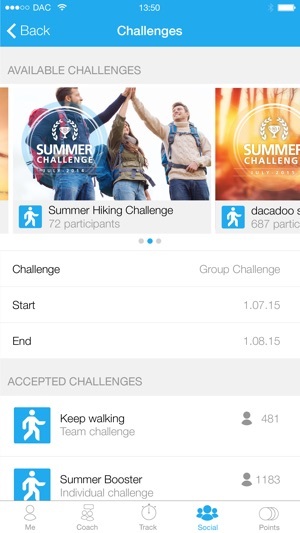 To help you remain active and engaged, dacadoo applies motivation techniques from behavioral science and online games, collaborative features from social networks, and provides personalized feedback. All dacadoo services can be accessed with this application. Start your free 30-day trial now. 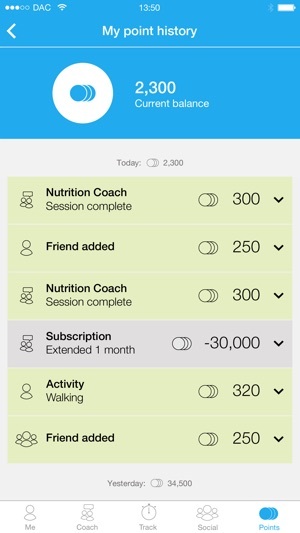 After the 30-day trial period, you can select a 90-, 180- or 360-day subscription period to continue using dacadoo. Payment has to be made in advance for the subscription period through the In-App purchase functions by the respective App stores. dacadoo uses qualified payment services to ensure that your payments are personal and secure. Please be aware that paid subscriptions will not be refunded. The subscription fees may be subject to change. Any price changes will be announced on our dacadoo App/Website. • All other countries: Please check the dacadoo pricing for your respective country in the app stores. Please note that the prices listed above are indicative and subject to currency exchange rate related fluctuations. dacadoo has no control over and is not responsible for app store related terms and conditions. Please note also that dacadoo has connected a rewards shop for demonstration purposes to its corporate clients but the shop is NOT available for users at this moment, as it is not part of a current user subscription. You can visit the shop but you will get a pop-up with a notification, that the shop is not available. Please note that continued use of the GPS location services running in the background of your iPhone can decrease battery life. Be sure you stop tracking a sporting activity once you have completed it! This release contains lots of improvements based on your feedback. Thank you very much for sending it to us! 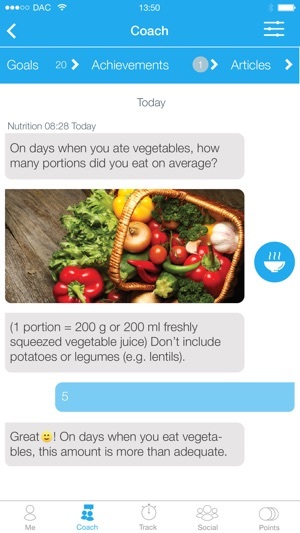 Great app, especially the coach, except it does not always get the units of measurement right. I have it set on imperial but it still recommends metric measures of food and water. Great, thank you for taking the time to provide feedback and rating.